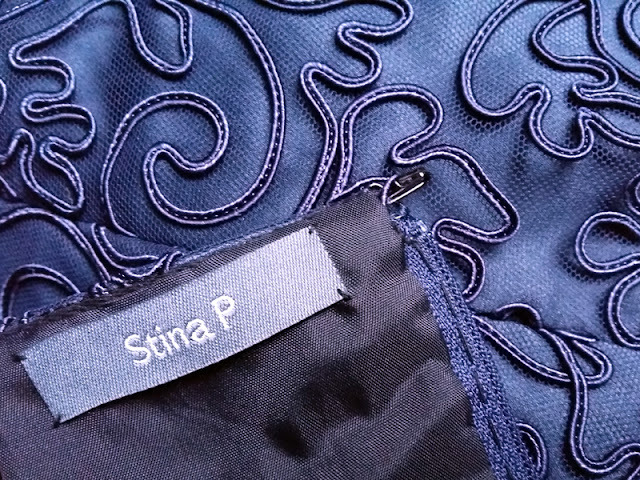 Stina P: Sewing in lace part six - and it IS a skirt! 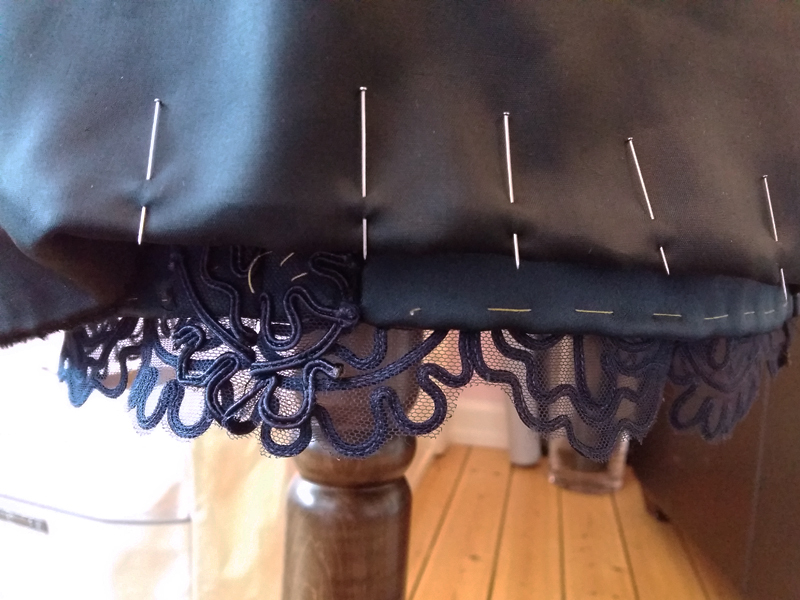 Sewing in lace part six - and it IS a skirt! With two and a half hours to go, my pencil skirt in dark blue soutache lace was completed. There is something with me and deadlines - the closer I get, the slower I become. But it is completed! 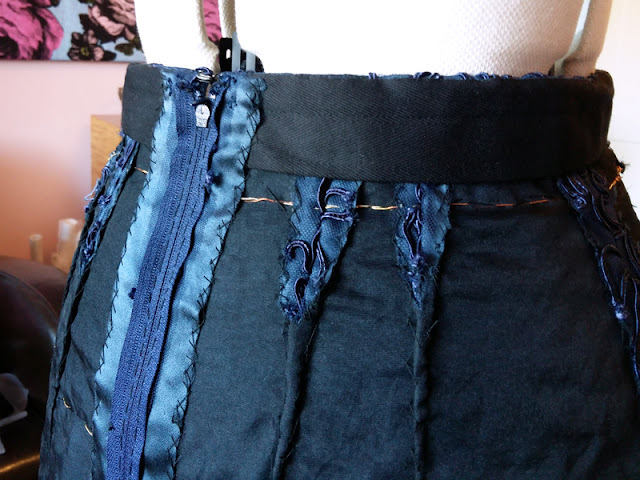 And I finished the side seams, with burning the soutache edges and some stitches by hand. (A rather strange pose when you burn things. 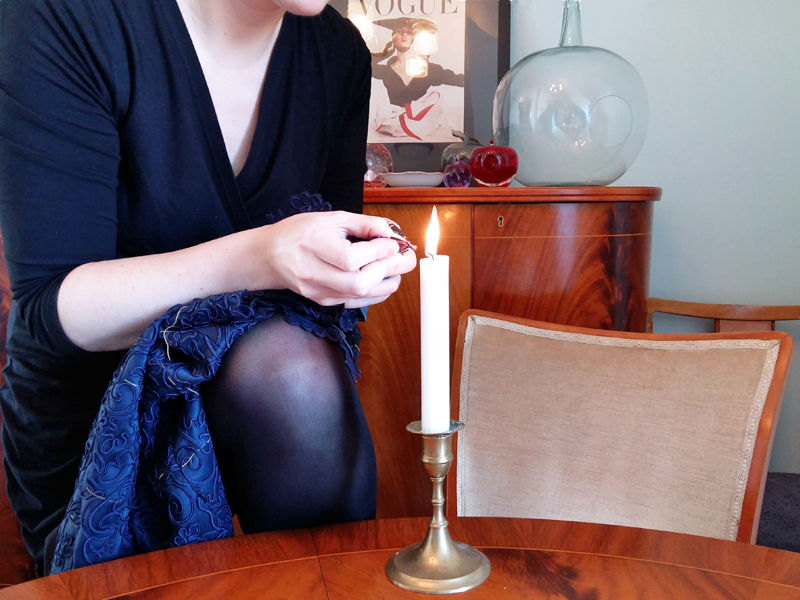 But I really didn't want to burn the skirt. 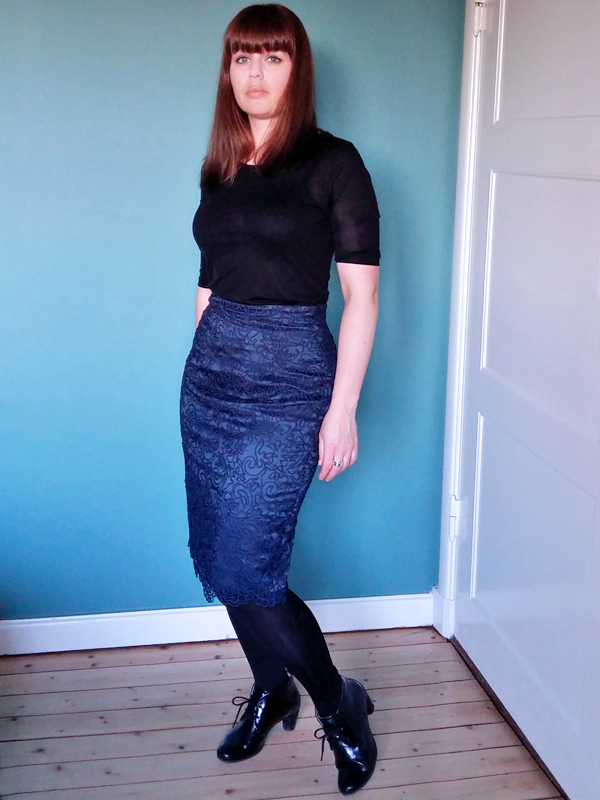 After wearing the skirt for a day, I realised that the lace turns your tights to a fuzzy mess, so I'll either have to do something about it, or dedicate one pair of tights for the skirt. Right now, it's the former. I'm very pleased how the skirt looks inside out - very couture if I may say so. Unfortunately, no one will ever see this again since I've covered it with lining. 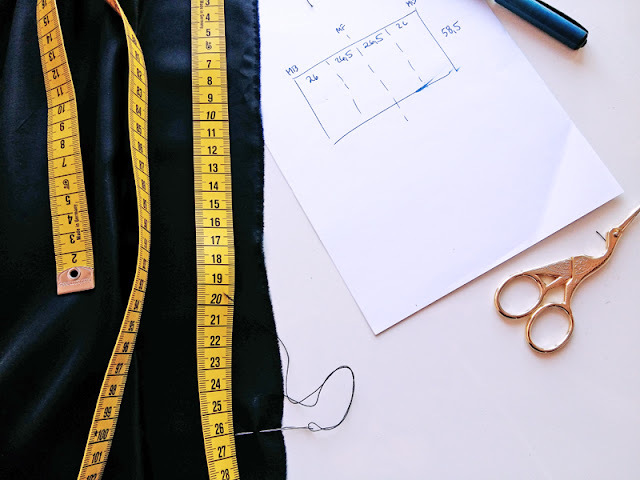 I did the lining the easy way - measured the skirt at the widest point, took some acetate from the stash (silk was also an option, but it clings so much. I actually like acetate for linings.) and just ripped it to the right measurements. I marked centre front and sides, and then simply pleated along the waistband. I cut the edges with pinking shears and pressed the seam allowances. 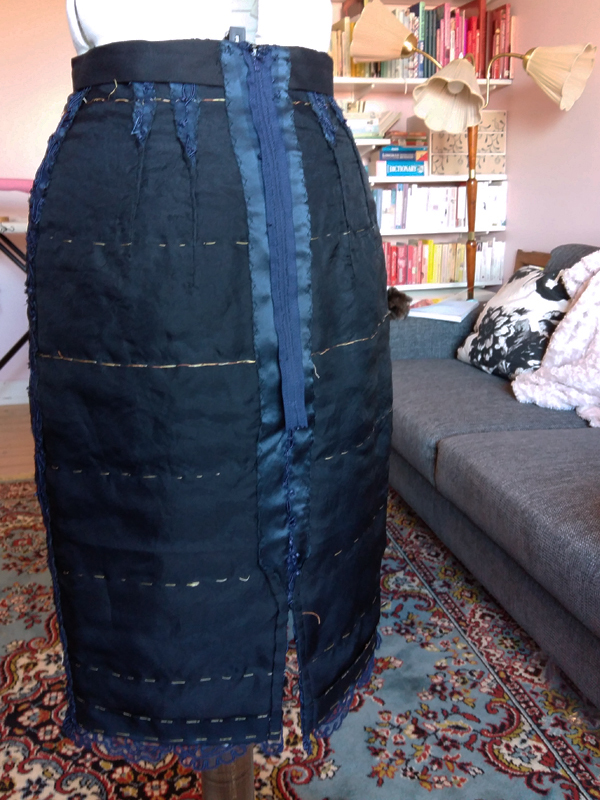 The only seam is centre back; fell stitching it to the zipper, fell stitching the seam, and finally fell stichting to the slit. 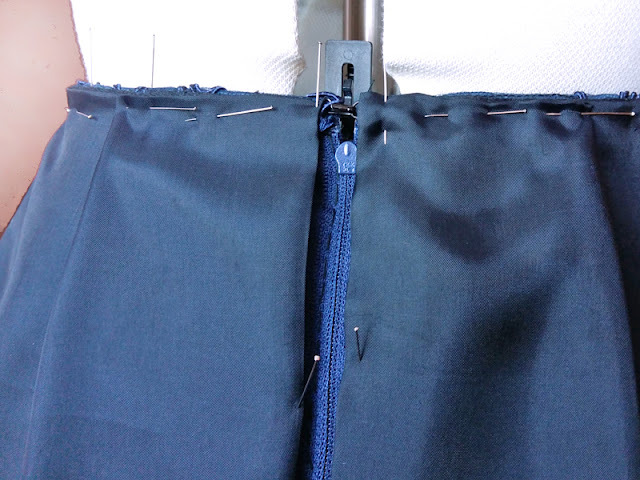 And pick stitches for a very narrow double folded hem. And then I wore the skirt when baby A got her name in church, together with her family and friends, and then after for some food and cakes. 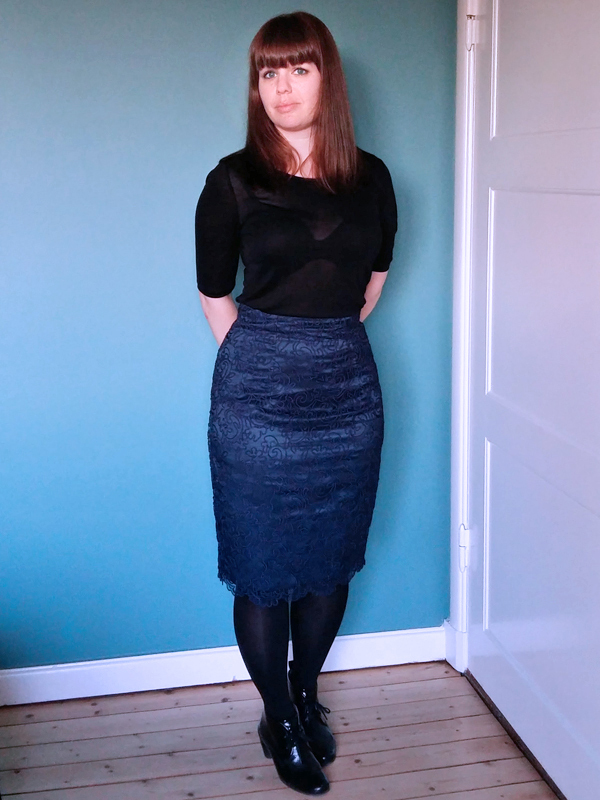 A great start for the skirt! Part one, part two, part three, part four, part five and yes, you are reading part six. 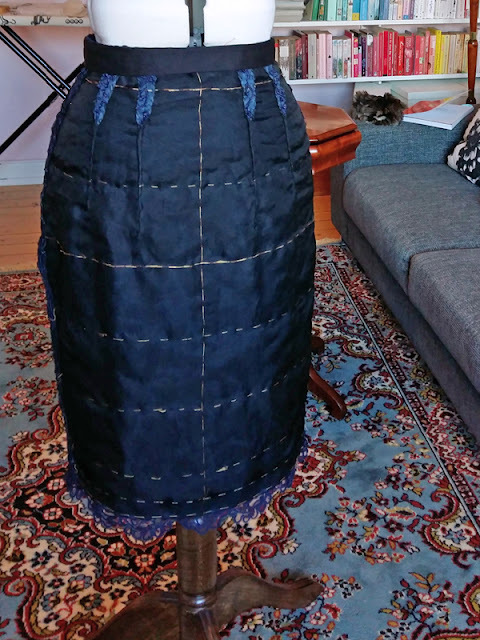 A really nice looking skirt :) I enjoyed reading about the process! Such a cool skirt. You explained the process very well. And the skirts amazingly suits on you.